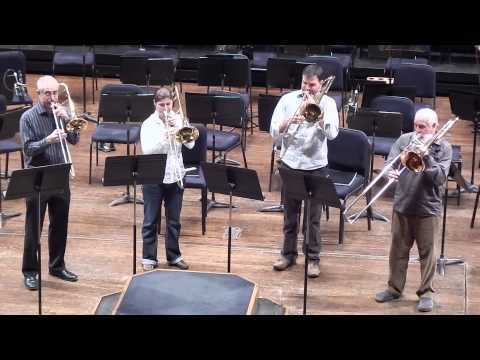 Amanda Stewart is currently the Associate Principal trombonist of the St. Louis Symphony, a position she began the Fall of 2014. Born in Oakland, Maryland, she began playing the trombone at the age of six. Her studies started with Harold Hudnall and continued with Keith Jackson, professor of trombone and euphonium at West Virginia University. She received her bachelor of music degree from The Juilliard School in 2004, studying with Joseph Alessi. As an orchestral musician, Ms. Stewart has played with numerous orchestras. She was the Principal trombonist of the San Antonio Symphony for eight seasons and was also the Associate Principal trombonist of the New York Philharmonic for two seasons. She has also played with the Baltimore, Boston, Dallas, Houston, Kansas City, National, North Carolina, and Toronto Symphonies. She was also the Assistant Principal trombonist of the Lyric Opera of San Antonio from 2005-2009. As a soloist, Ms. Stewart has performed with the San Antonio Symphony and the Deep Creek Symphony in McHenry, Maryland. As a chamber musician, she was a member of the San Antonio Brass Quintet, which performs throughout Southern Texas, presenting educational outreach programs and an annual three-performance concert series. Ms. Stewart has also toured with the critically acclaimed Burning River Brass. She can be heard on the recording Slide Partners: 100 Years of American Trombone Virtuosity, Arthur Pryor, and Joseph Alessi, on which she performed in the trombone quartet segment. 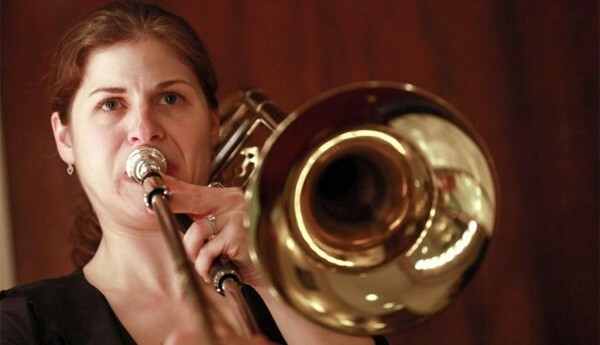 Ms. Stewart has been a guest artist at the International Women’s Brass Conference, the Big XII Trombone Conference held at Texas Tech University, and at Trombone Days held annually at Baylor University. She has also taught master classes at several other universities in Texas, Illinois, Ohio, West Virginia, and at Boston University and New England Conservatory. On the international scene, she toured Germany with the Christian brass group, Eurobrass, and in summer 2006 she taught and performed at the Seoul Trombone Ensemble Summer Music Festival in South Korea. Ms. Stewart has been on the faculty of the Masterworks Festival held during the summer in Winona Lake, IN. Ms. Stewart has taught privately at several universities, namely Our Lady of the Lake University, St. Mary’s University, Rutgers University in New Brunswick, NJ, and currently at Trinity University in San Antonio, TX. Ms. Stewart is an Edwards artist and performs on Edwards trombones.